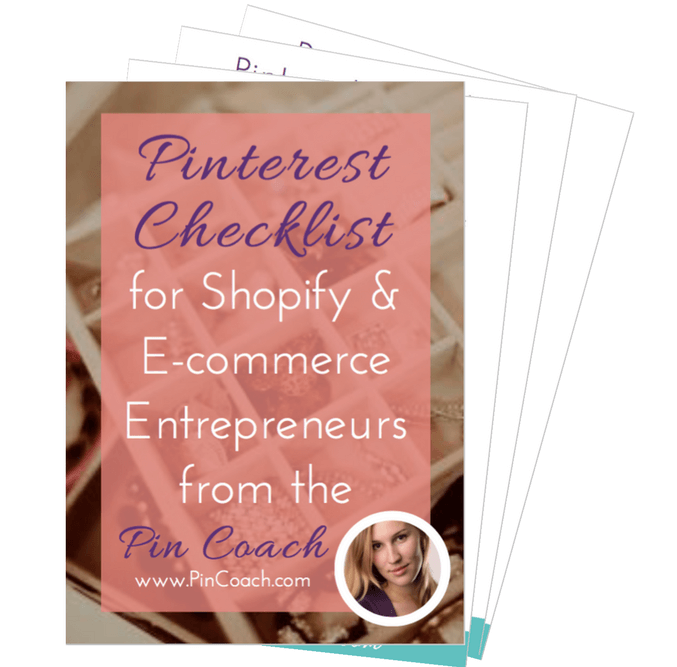 Helping e-﻿commerce﻿ entrepreneurs and online business owners drive traffic ﻿and﻿ increase﻿ ﻿sales﻿ ﻿﻿with﻿ Pinterest. Why is there a 3-month minimum on done-for-you account management? There is no shortcut to Pinterest success. It takes consistent, high-level strategy over several months to achieve the results we are known for. Initially, a lot of work goes into setting up (or cleaning up) the profile and getting the first few pieces of content optimized for sharing on the platform. After that, the process gets more streamlined, we continue to track the results, and adjust the course if needed. How fast can I expect﻿ ﻿growth? I’ve seen new or previously inactive accounts take anywhere from 3 to 6 months to see significant growth. We require a minimum of 3 months of service, but recommend you continue for at least 6 months so we have a larger window to evaluate, see what’s working and get the most return from your investment. There are occasions when a pin will take off and go viral early on, but this is usually the exception rather than the rule. That being said, once your account starts to build momentum, Pinterest can easily become your #1 source of social media referral traffic. Important factors are: your account history (how old it is and what you’ve done already; whether you’ve been actively pinning quality content and for how long), how much you promote your profile in other places (your website, newsletter, social media channels) to grow your following faster, your content and imagery, what you have done already on the account. Do you use a scheduling tool to manage accounts? Yes, we exclusively use the Tailwind scheduling tool. Tailwind is a Pinterest API partner (meaning you’ll never be at risk of breaking Pinterest’s Terms of Service) and it has shown in testing to be just as effective as manual pinning. You can still continue to pin manually if you want to share more content daily, or if you want us to only manage your own content only while you continue to curate content alongside our service. What is the process once we sign up? After an agreement is signed and payment is received, the onboarding process begins. My onboarding process includes a full profile audit and cleanup, and usually lasts 5-7 days before we can start pinning to the account. The speed at which we can complete onboarding and start pinning will also depend on your promptness in supplying the logins and other info needed to perform the cleanup and get everything set up to actively manage the account. What am I responsible for providing? We’ll need logins for your Pinterest account, Tailwind account, and Canva account if we are designing pin images for you. We also require Google Analytics access to set up analytics goals and monitor growth. Unless you sign up for the Everything VIP Package, you’ll need to design long Pinterest-optimized images (we provide all the details on specifications for these) or high-resolution images that can be cropped into vertical/tall format to be shared on Pinterest. Can I really make sales with Pinterest? Yes! Whether or not you use Buyable Pins (for Shopify store products that can be purchased directly through Pinterest), you can make sales from Pinterest by driving visitors to your website and increasing your traffic. If you sell via email marketing, Pinterest is also a great way to drive people into your funnel. You’ll get qualified leads signing up to your newsletter so you can sell to them after building a relationship via email. As part of our onboarding we discuss ways to optimize your site to make the most out of your Pinterest traffic, as well as capture more leads from your Pinterest-driven visitors. Do you create pin images to promote my products and services? Yes! Graphic design is included with our Everything VIP Package and you can also buy add-on graphics to use with any other package for $10 each. You’ll need to supply high-resolution photos of your products, and if you only have a stock photo library subscription, we can use that or source free stock photos for your pins. Yes. We require you to sign an agreement enlisting our services for a minimum of three months, although you don’t have to pay up front as we bill on a monthly basis. You also must agree to give one-month notice in the event that you would like to discontinue the service. We bill at the start of the service, and once a month thereafter, depending on the day you began. We bill using Harvest invoicing, which utilizes Paypal eCheck. Credit cards are not accepted using this method. If you prefer to pay by credit card, a 3% fee will be added to your invoice. Payment is due upon receipt. Do you offer discounts on longer commitments? I offer a discounted rate if pre-paying for 6 months - you get a 7th month for free! If you pre-pay for one year of service, you’ll get 2 extra months free. Do you know special Pinterest hacks to grow my account and traffic fast? While we stay up-to-date on the latest news, trends and announcements from Pinterest and the Pinterest marketing community, we are not Pinterest magicians. We can evaluate your content and assets, and tell you if we think you will succeed with Pinterest marketing, or where can you improve your strategy so it’s more effective. We have seen great results with our past and current clients, and will implement strategies to help you succeed in growing your traffic and following. It’s important to remember that Pinterest is a search engine like Google and growth can go more slowly than other social media platforms. We don’t use any ‘hacks’ to try to beat the system, and we make sure that we are using our best and most recommended strategies to give you an advantage over managing the account yourself or with a VA. If I sign up for monthly account management, can you set up my new profile too? Or will I need to ﻿set﻿ it up myself? We offer a one-time setup service which we can provide at a discounted rate if you subscribe to one of our monthly account management packages. Otherwise, we’re happy to give you guidance on how to setup the account yourself on our kick-off call before we start the monthly management service. If you already have a profile set up but are missing a few key boards (such as a blog posts board), we can set that up during the account audit. Can you help me join group boards in my niche? We can research appropriate group boards for your account and provide instructions on how to contact the group board owners. We cannot guarantee that you will be invited as a collaborator, but the more group boards that you request to be added to, the higher your chance of receiving some invitations. Can﻿ you customize my pins with UTM codes for closer tracking? Yes, we offer this service for an additional fee. How do you decide what to pin? Can I still pin my new content? It’s best if you leave management of the Pinterest scheduler to us. That’s where we’ll pin your product listings, new content, trending content, any old but popular content, and any of your posts that are seasonal according to the time of year. In addition, we’ll sprinkle in curated content from other sources that will grow your following an engagement because it will be relevant to your ideal audience. We’ll keep up to date with your results in analytics so we know what to re-share, and we’ll check weekly on your blog for new content or products (or you can add it manually to a tracking spreadsheet where we keep a record of your posts and listings). Is it beneficial to have both organic and promoted pins? ....or rather, what is the negative impact of only doing promoted pins and no organic pins? An organic strategy is much more work - optimizing a profile and keeping the schedule full with a mix of your own content and curated content. Both would be good but it depends on how much you want to invest in Pinterest marketing (not just money but the time and effort to supply good photos, pin copy, high-quality content, etc.). It's thought that promoted pins do better when they are already performing well organically, but it can take a long time to get traction with organic strategies on new accounts (3-6 months at least).That being said, if you JUST wanted to throw up a few boards and promote some high-quality pins, they could still do well. Promoting pins that lead to a blog post or some kind of useful content is best, and using list building strategies to get people on your email list so you can market to them that way is also more effective than trying to sell directly. Pinterest can quickly become your biggest traffic driver but the buying cycle can be longer and conversions can come later than with Facebook, Amazon, etc. © 2017 - Louise Cottrell. Is Your ﻿﻿﻿Pinterest﻿﻿﻿ Profile Optimized﻿ for Sales? Get ﻿more﻿ ﻿impressions﻿,﻿ ﻿traffic ﻿and﻿﻿ sales from rapid growth using effective Pinterest marketing strategy!